■ Applicable for Denim, Leather, Overcoat etc. 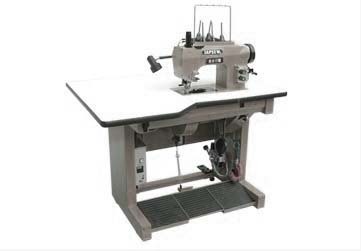 ■ 1-needle, 1-thread, real hand stitch machine making pick stitch, saddle stitch, long / short, short / long stitch. 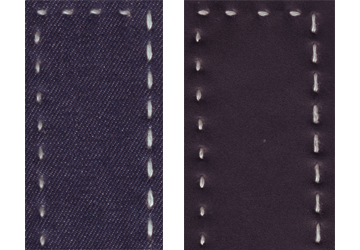 ■ Stitch length and pin point length can be adjusted easily by dial knob on the machine. ■ Thread to be used: Thick threadze upto #8. ■ With the design of bearded shape eye needle, you can load the thread easily. ■ Stitch inversion can be controlled by foot switch. ■ Major components are made in Japan or Germany.